Posted in Organist. Tagged German, Germany, Kay Johannsen, Recordings, Stuttgart, YouTube. 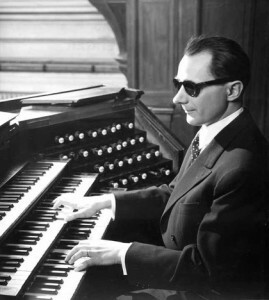 Gaston Litaize (1909 – 1991) was a French organist and composer. An illness caused him to lose his sight just after birth. He entered the Institute for the Blind in Nancy, studying with Charles Magin. Magin encouraged him to continue studies in Paris at the Institut National des Jeunes Aveugles. Litaize enrolled concurrently there and at the Paris Conservatory. His teachers in Paris included Adolphe Marty, Marcel Dupré, Henri Büsser, and Louis Vierne. In 1939, Litaize became organist at Saint-Cloud, and in 1944 he became director of religious radio programs, overseeing five weekly broadcasts. In 1946, Litaize became organist titulaire at Saint‑François‑Xavier, a post he held until his death. When he retired from the radio in 1975, he became the organ teacher at the Conservatoire in St Maur-des-Fossés. His students there included Denis Comtet, Olivier Latry, Eric Lebrun, and Christophe Mantoux. Litaize made numerous recordings, some of which have been reissued. He also was very active as a composer. A complete list of his compositions is available here. Olivier Latry has even transcribed and published one of Litaize’s improvisations . This book is in French and includes an audio CD with unpublished works and improvisations of Gaston Litaize. Includes an improvisation on Victinmae paschali laudes. Includes Litaize playing some of his own compositions and an improvisation. 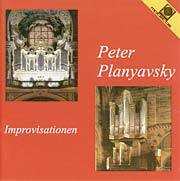 Includes repertoire played by Gaston Litaize and Guy Bovet as well as an improvisation by each of the organists. 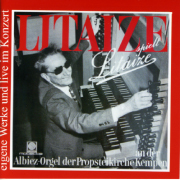 Gaston Litaize plays his own works on the 1979 Winfried Albiez (Lindau / Lake Constance) organ located in the gallery of the Church of St. Mary in Kempen, Germany as well as three improvisations. Available through OHS. Posted in Organist. Tagged Adolphe Marty, Charles Magin, Christophe Mantoux, Conservatoire de Paris, Denis Comtet, Eric Lebrun, France, French, Gaston Litaize, Henri Büsser, Institut National des Jeunes Aveugles, Louis Vierne, Marcel Dupre, Olivier Latry, Paris, Recordings, Sébastien Durand, St François Xavier, St Maur-des-Fossés. 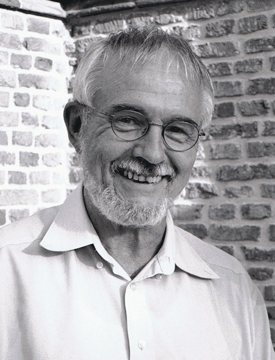 Frédéric Blanc was assistant organist at Saint-Sernin de Toulouse (1987-1995). A finalist of the International Improvisation Competition of Strasbourg in 1989, he has also been a prize winner of several other International Improvisations competitions, including Nuremberg (1996) and 2nd Prize in the Grand Prize of Chartres. 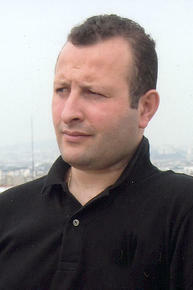 In 1997, he was awarded the Grand Prize of the city of Paris, an international competition. Frédéric Blanc maintains an active career as a concert artist throughout Europe, as well as making several concert tours in the USA. He has recorded several CD for EMI, Aeolus, Motette devoted to improvisation and organ literature. 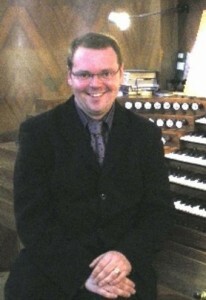 Since 1999, Frédéric Blanc has served as organist at Notre Dame d’Auteuil, Paris. This recording features many performers, including Lionel Rogg, Barbara Dennetlein, Frederic Blanc, Holm Vogel, Johannes Mayr, Vincent Thevenaz, and David Franke. 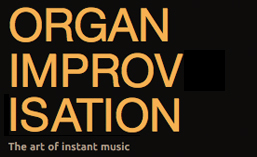 The OHS Catalog lists a DVD of Frederic Blanc offering improvisation instruction here. Posted in Organist. Tagged Chartres, Competition, Frédéric Blanc, French, Nuremberg, Paris, Recordings, St. Sernin, Toulouse. 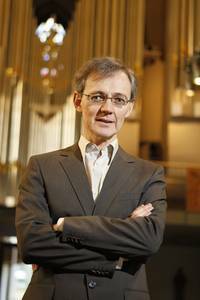 From 1969 to 2004, Peter Planyavsky was organist at Vienna’s cathedral Stephansdom (St. Stephen’s Cathedral), and in the years 1983 to 1990 was Dommusikdirektor, director of music with overall responsibility for the church music at the cathedral. Posted in Organist. Tagged Austrian, German, Haarlem, Peter Planyavsky, Recordings, St. Stephen's Cathedral, Vienna.